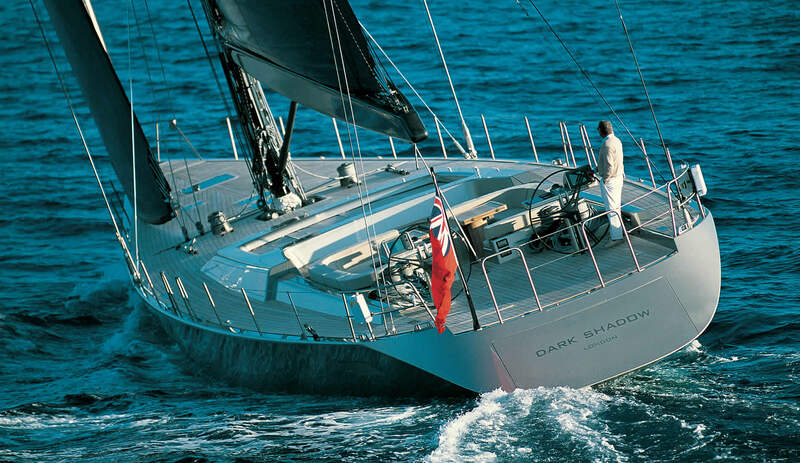 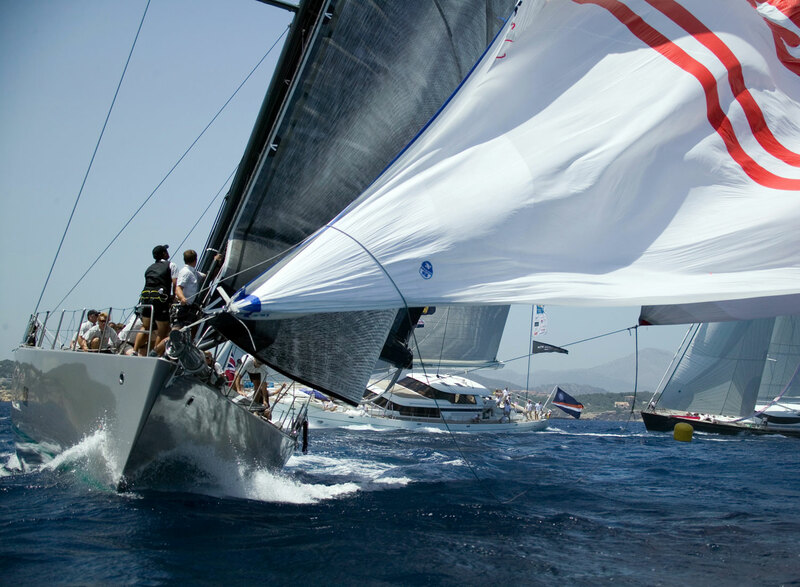 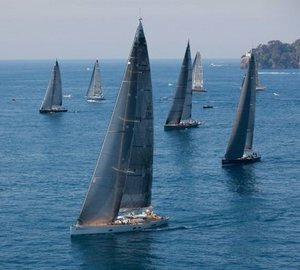 DARK SHADOW is a 2002, 30m (99' 10") Wally. 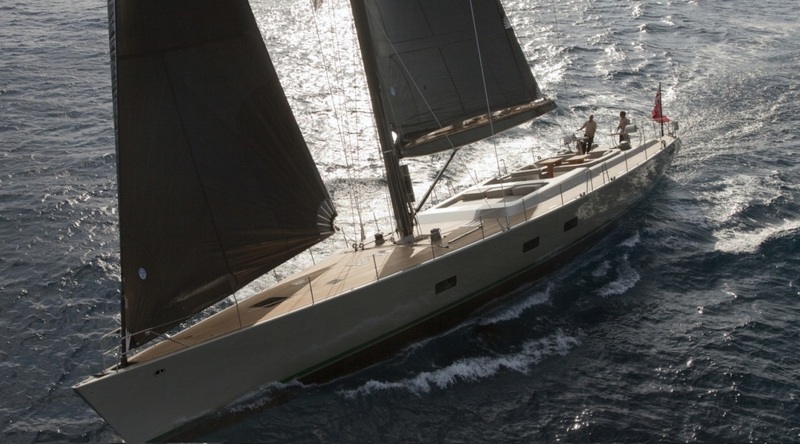 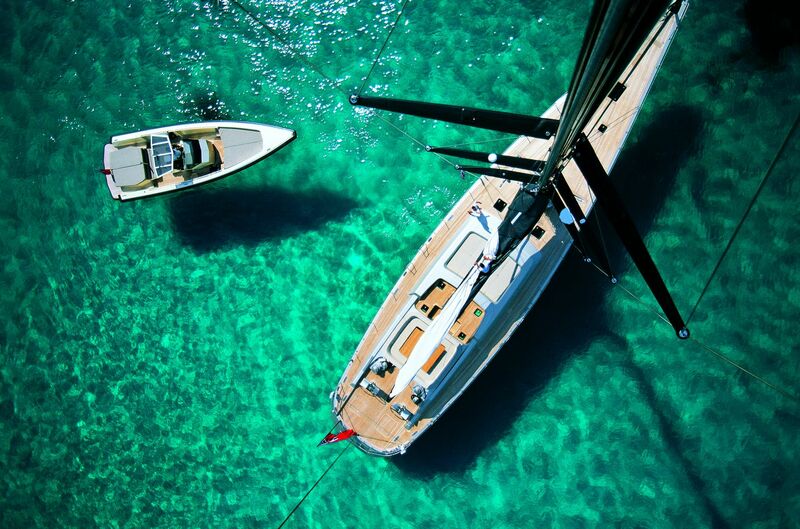 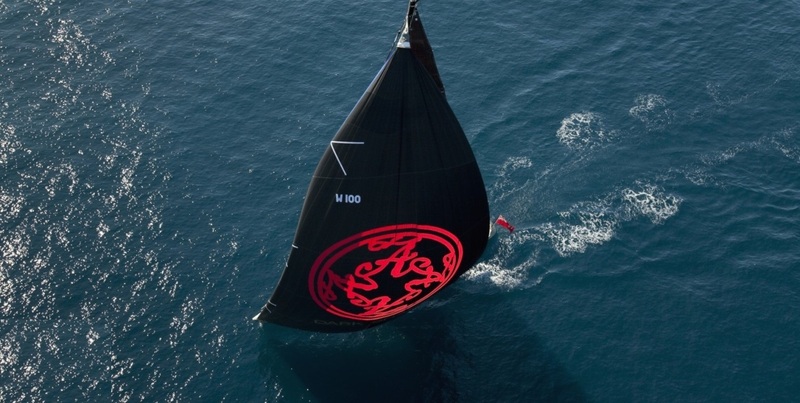 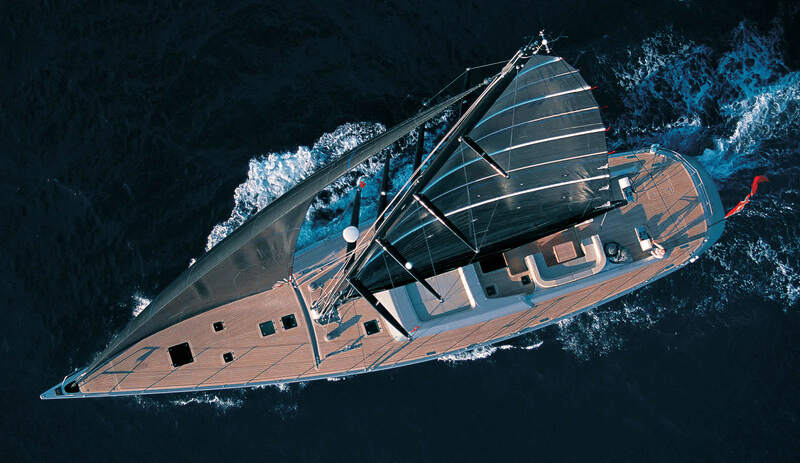 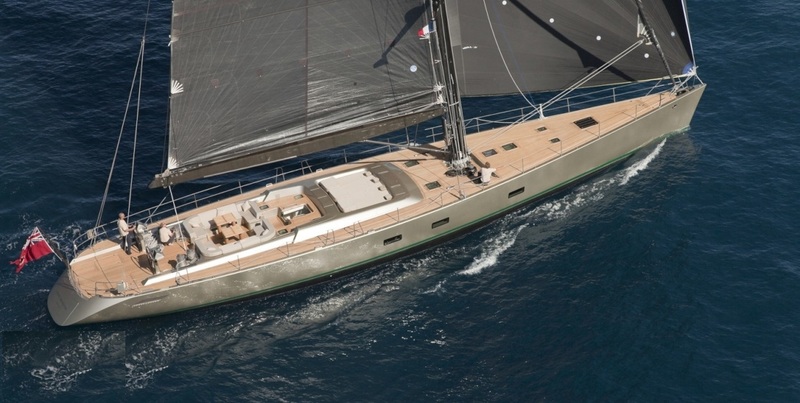 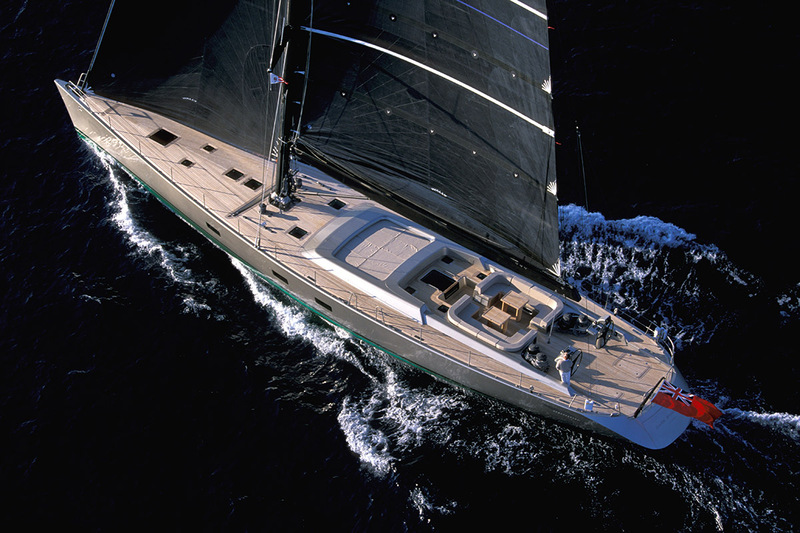 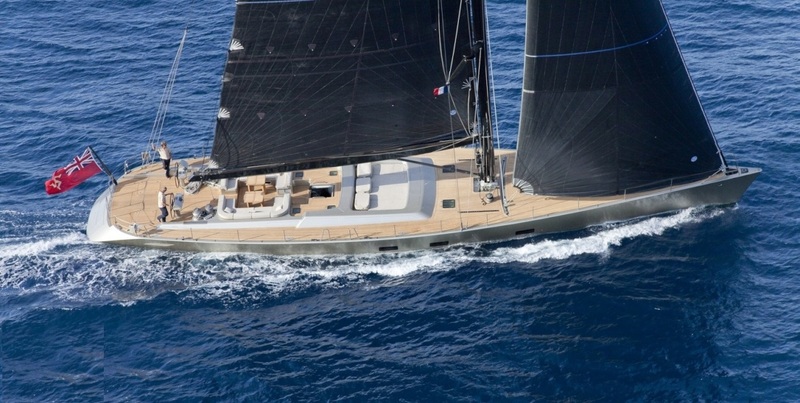 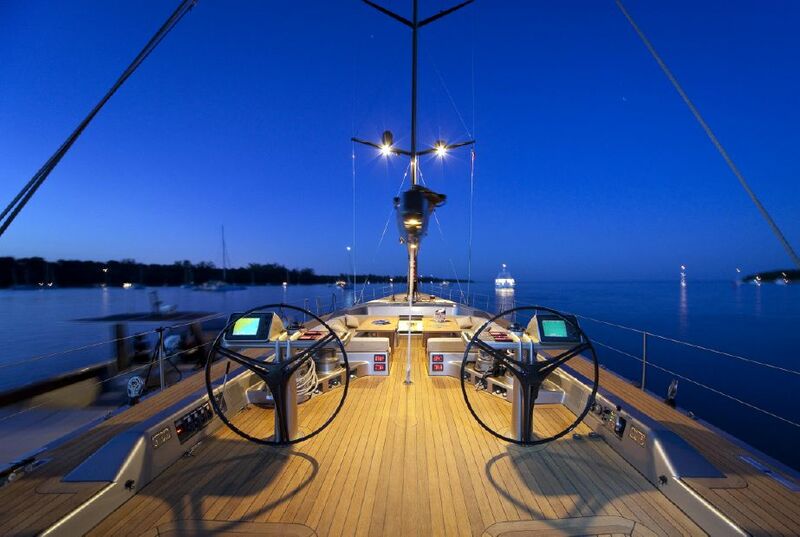 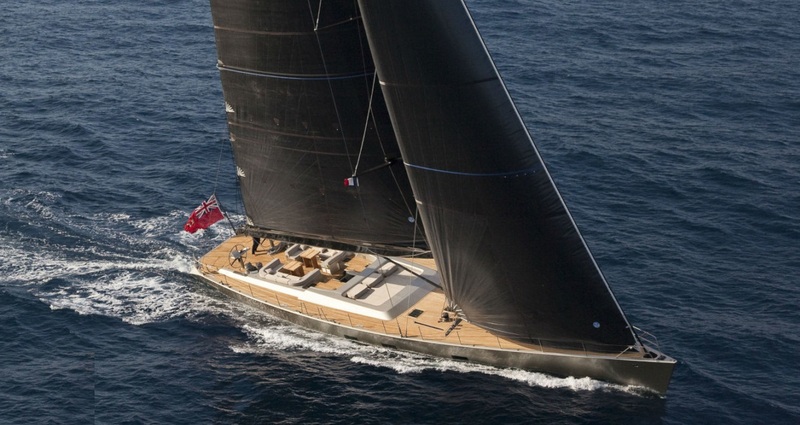 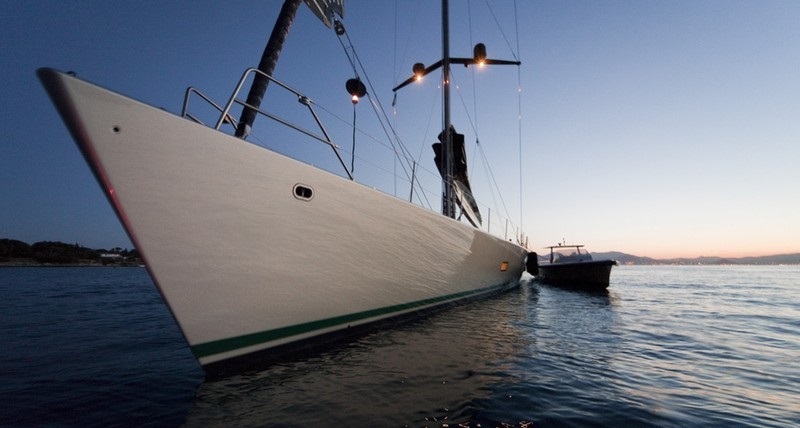 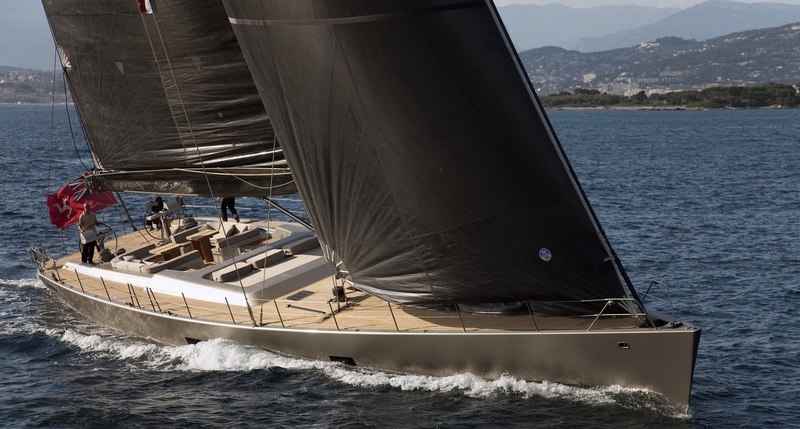 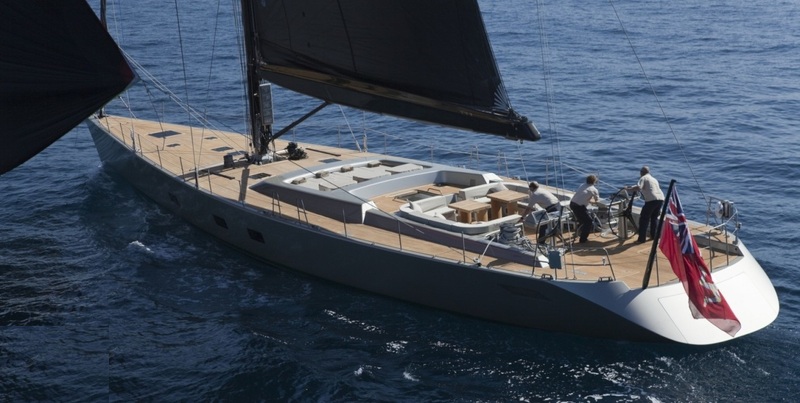 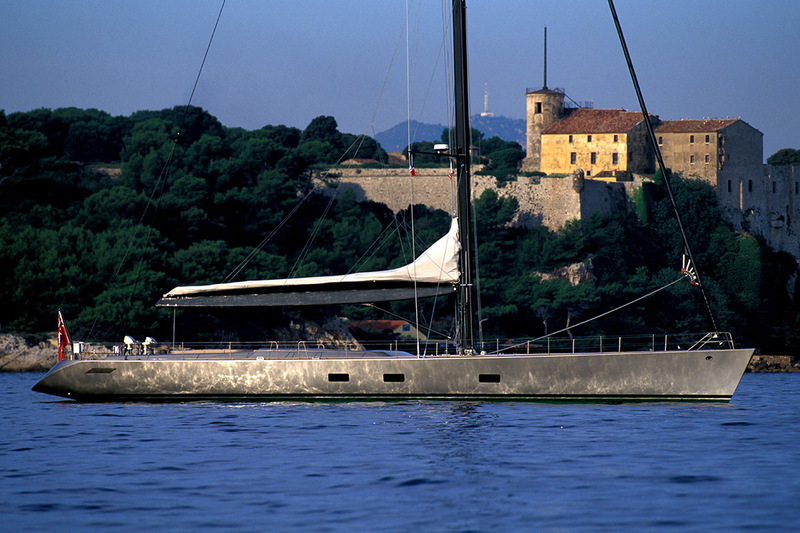 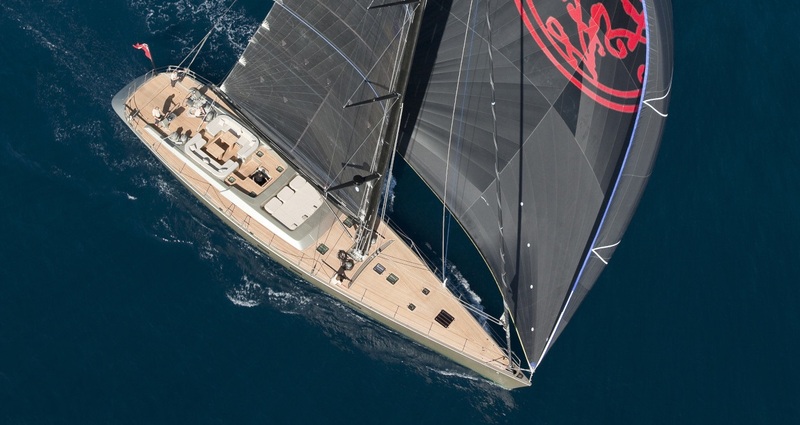 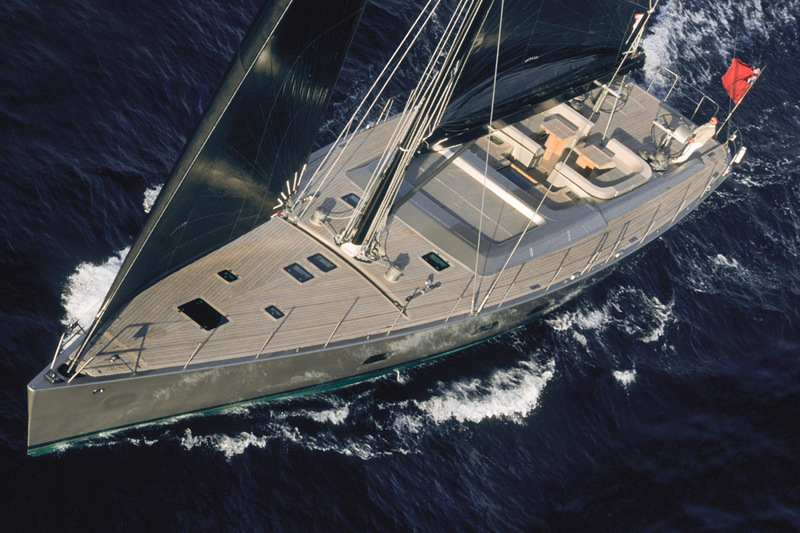 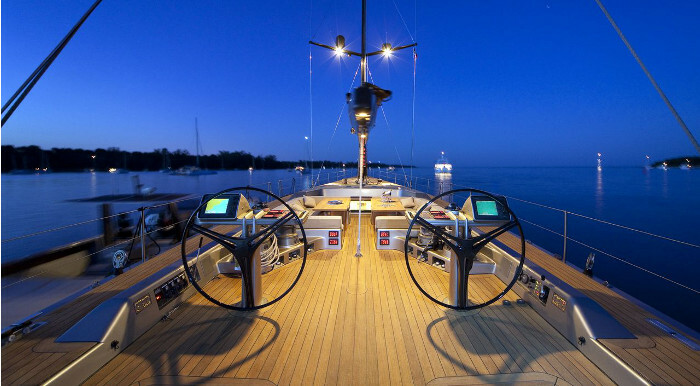 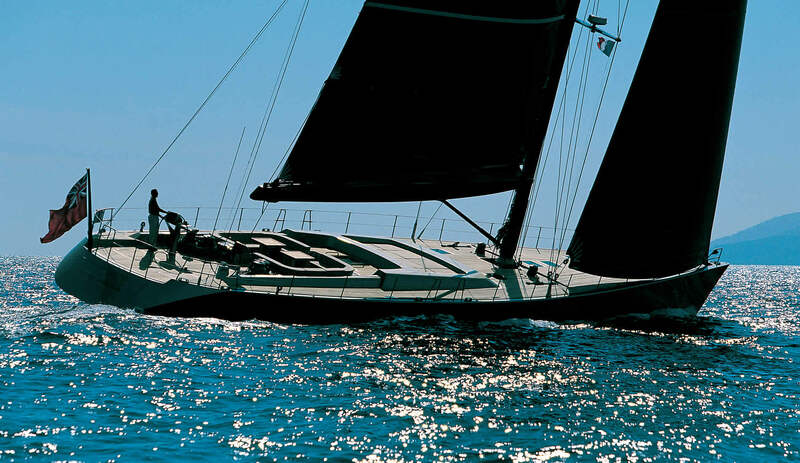 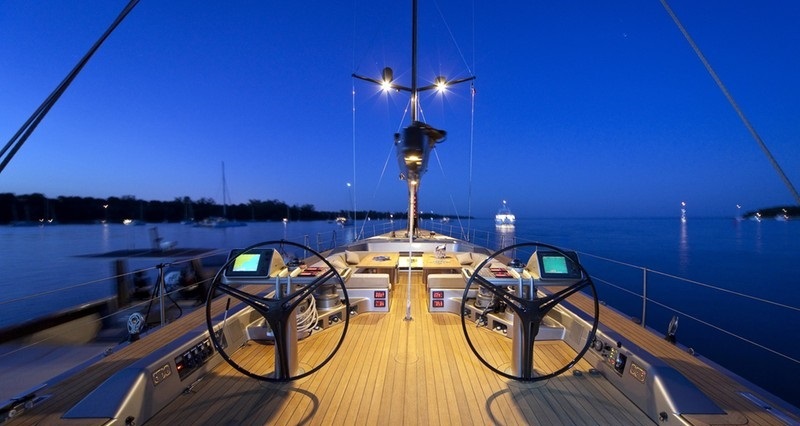 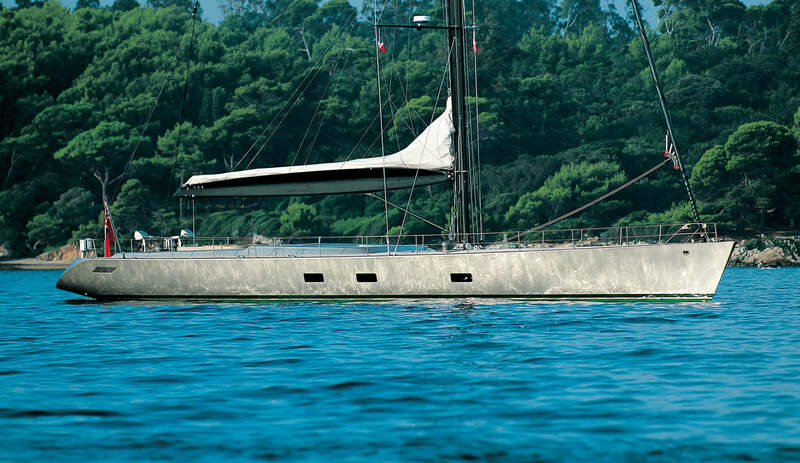 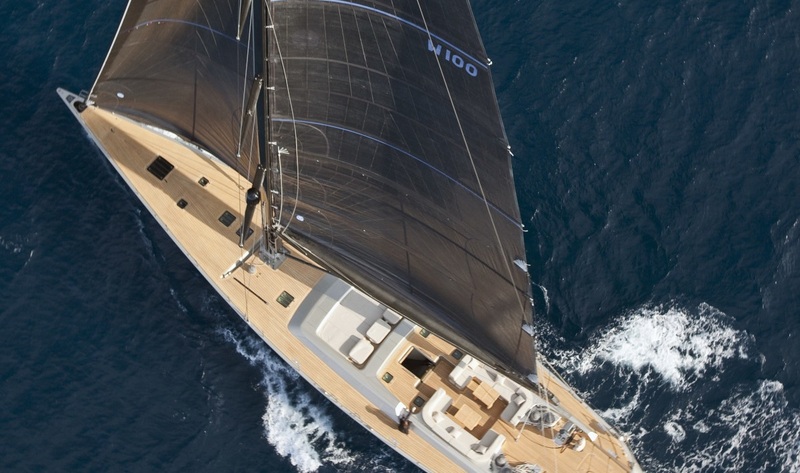 She is a head turning stylish sailing yacht for performance cruising with a minimalist design. 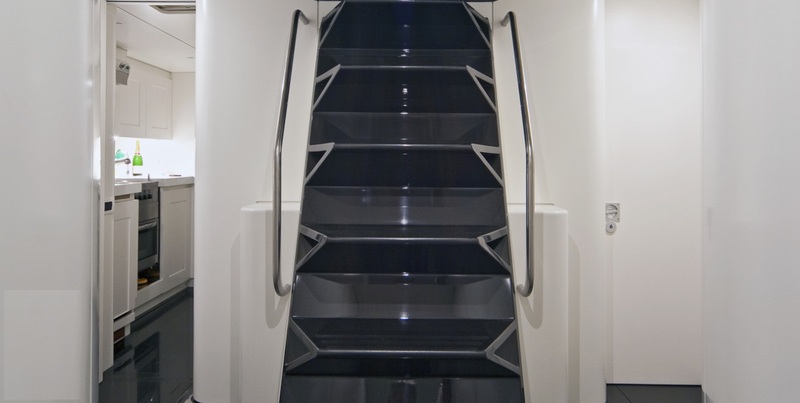 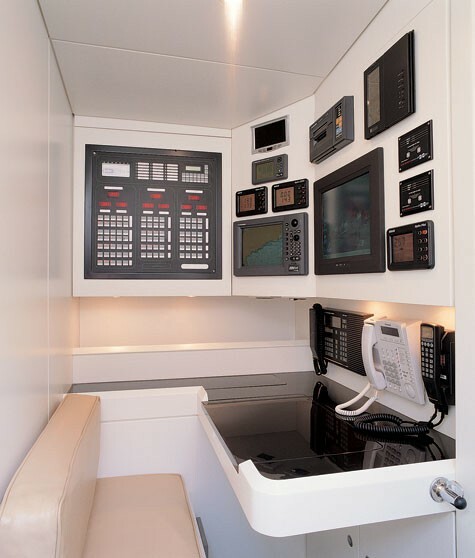 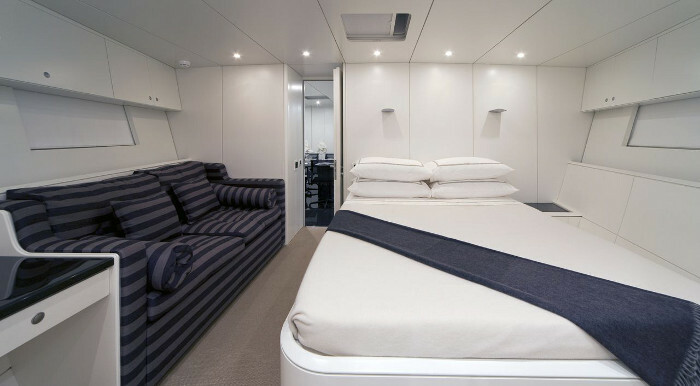 The yacht underwent an extensive refit in 2012, she can accommodate up to 6 charter guests, in 3 cabins. 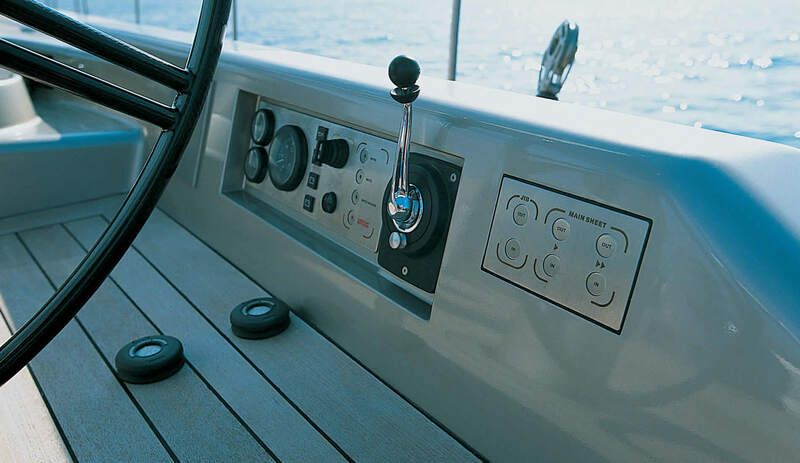 NOTABLE FEATURES: Great assortment of water toys ~ Wally tender with cabin ~ Exceptional exterior space with plenty of relaxation areas ~ Very cosy interior ~ Ideal for performance cruising in comfort and style. 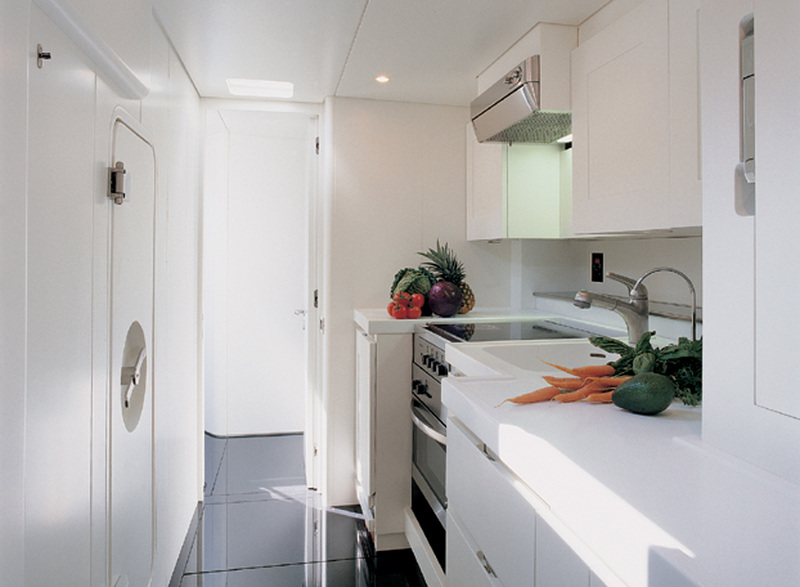 Her interiors are contemporary and spacious. 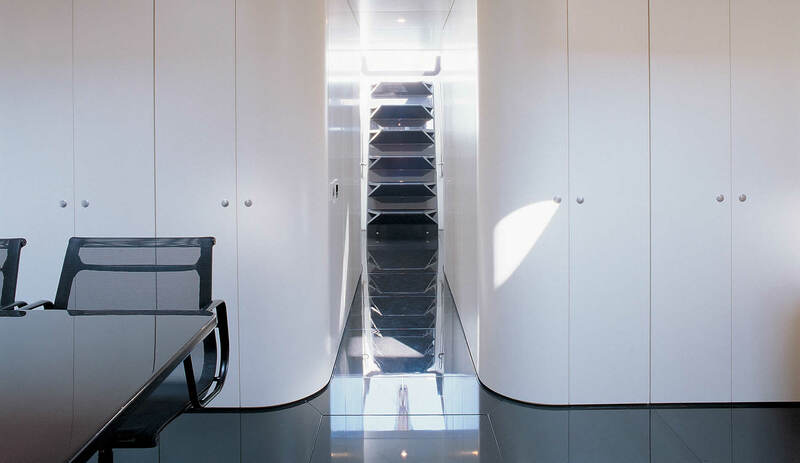 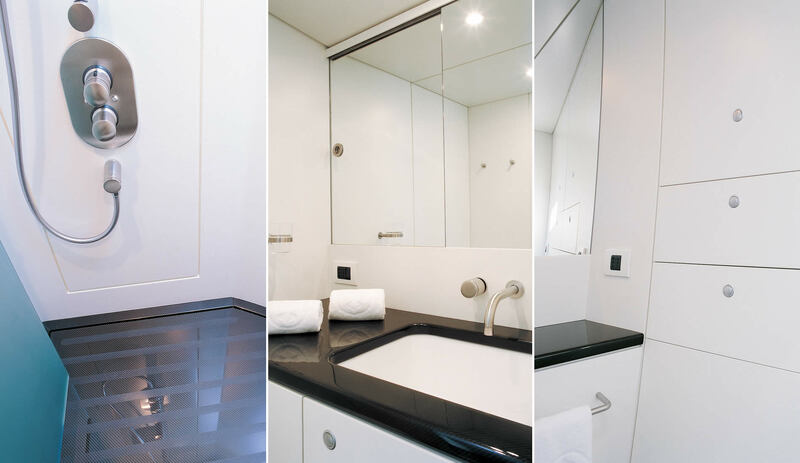 White paneling and dark floors contrast beautifully to give an overall clean, fresh atmosphere. 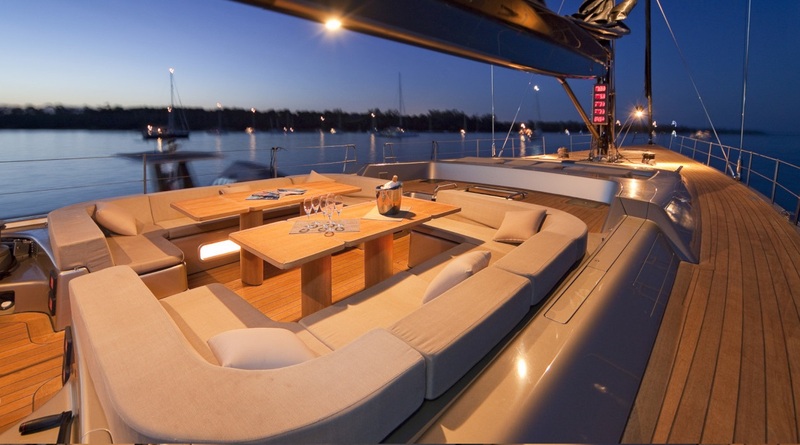 Her main salon offers a sumptuous sofa, seating and opposing formal dining table. 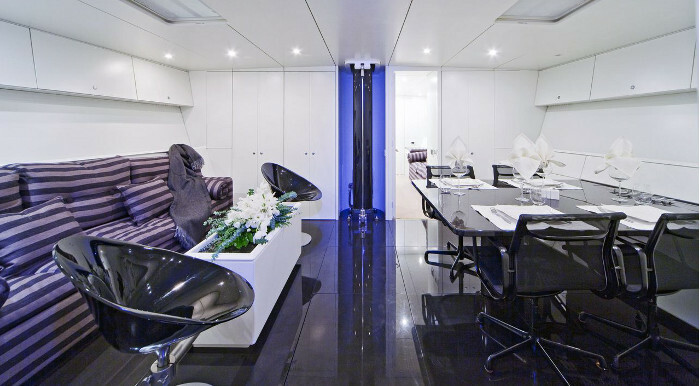 She features full audio and visual systems in the salon, offering Apple TV, a large selection of available movies and Linn sound system. 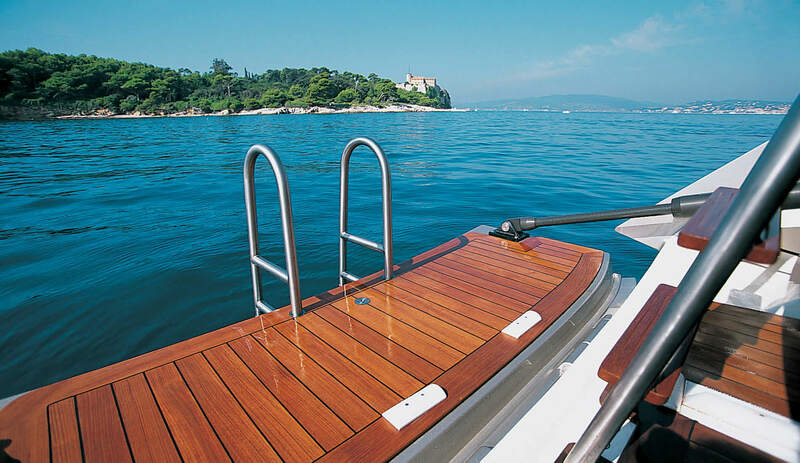 Exterior living is laid to exquisite teak decking and exceptional space. 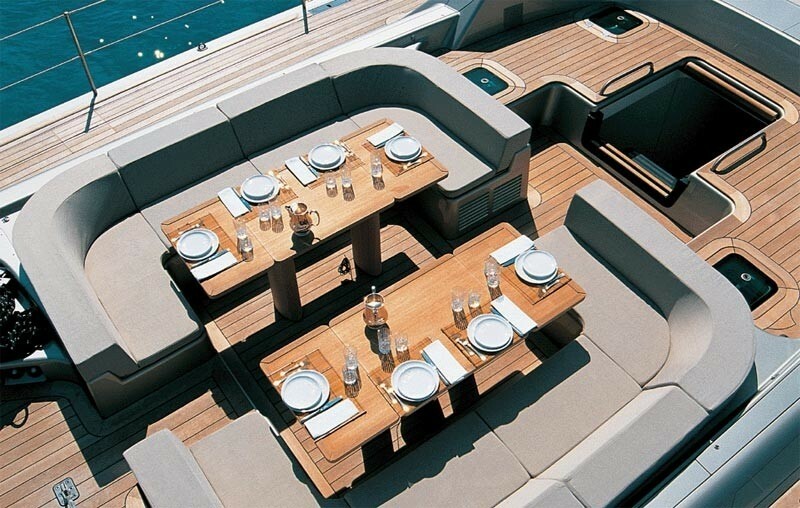 The cockpit offers a large alfresco dining area with 2 tables, and wrap around seating. 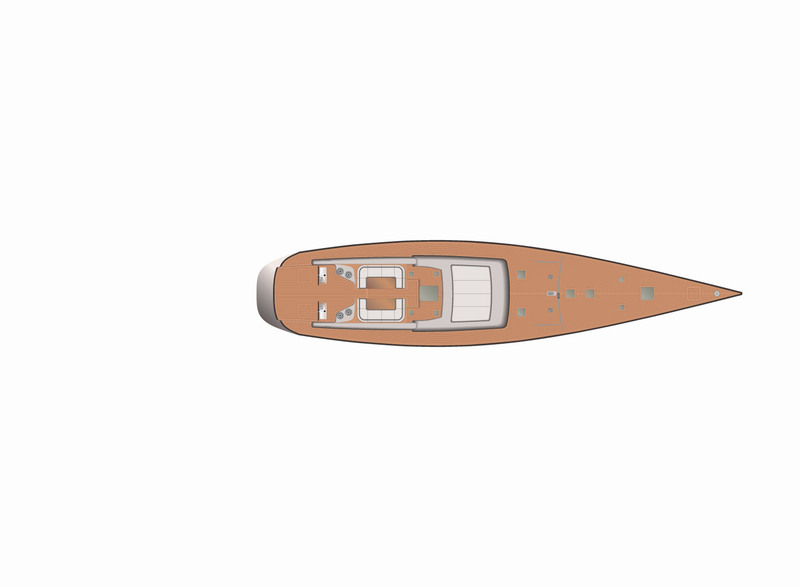 Forward of the cockpit is the main companionway leading below, followed by a massive raised sunpad. 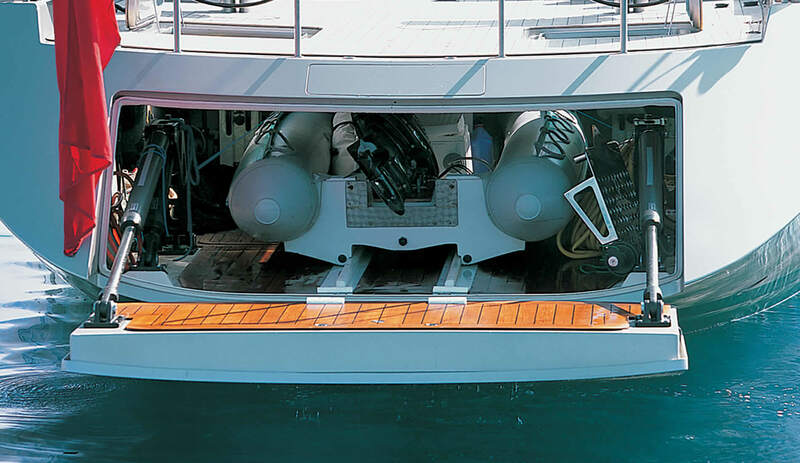 Her dual helms are aft of the cockpit, with an uninterrupted walk way connecting to the level aft deck. 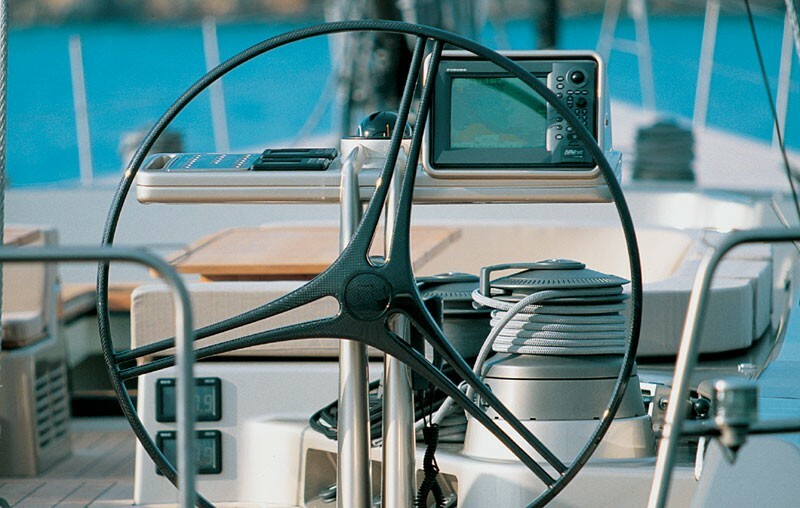 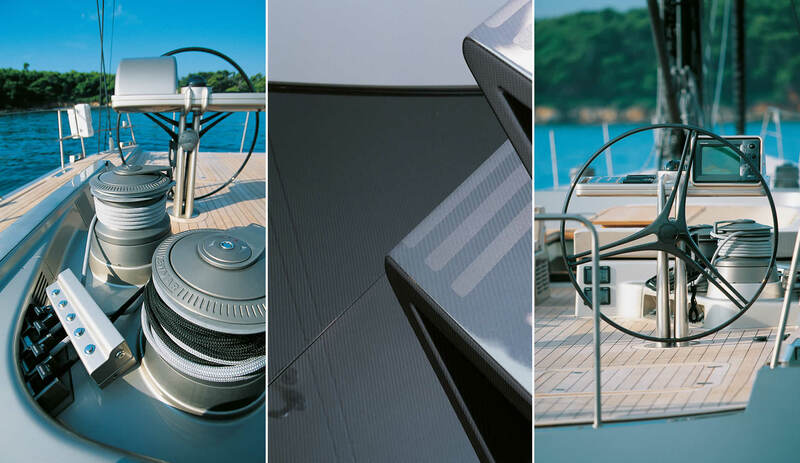 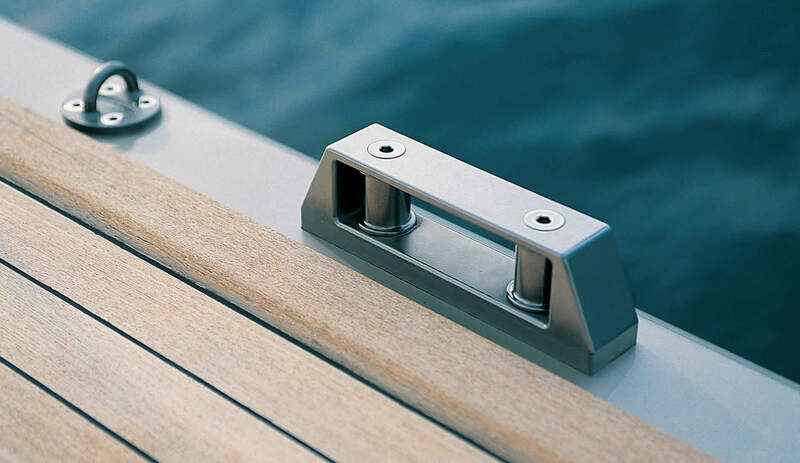 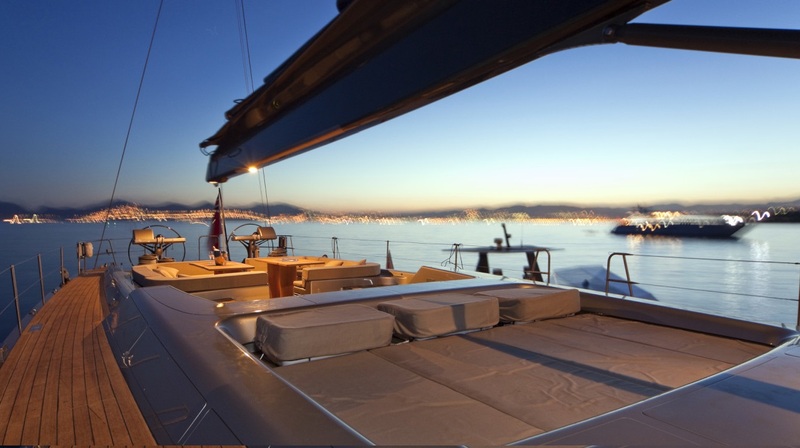 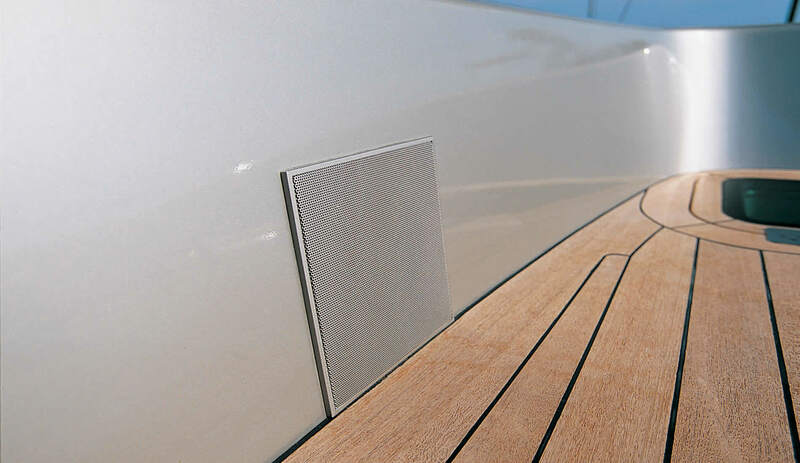 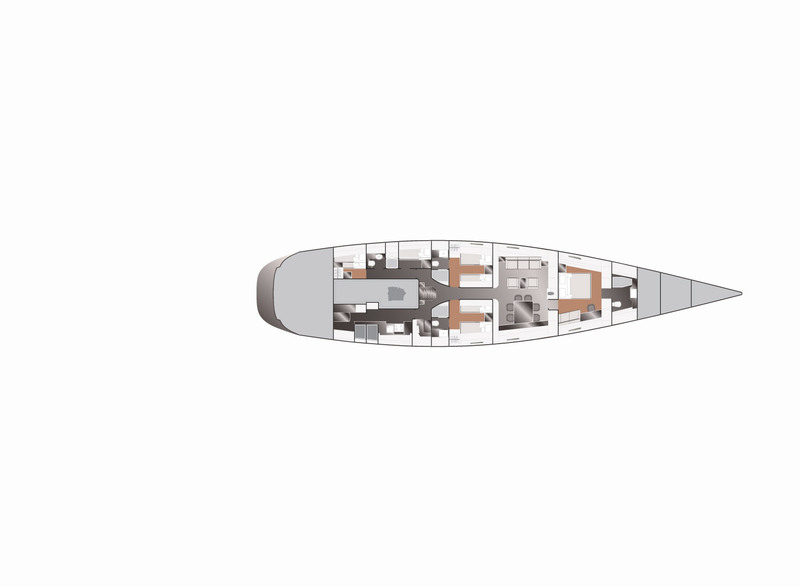 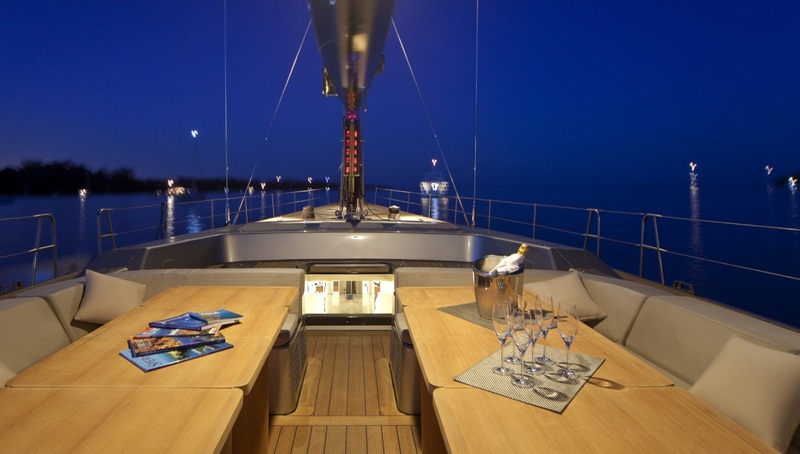 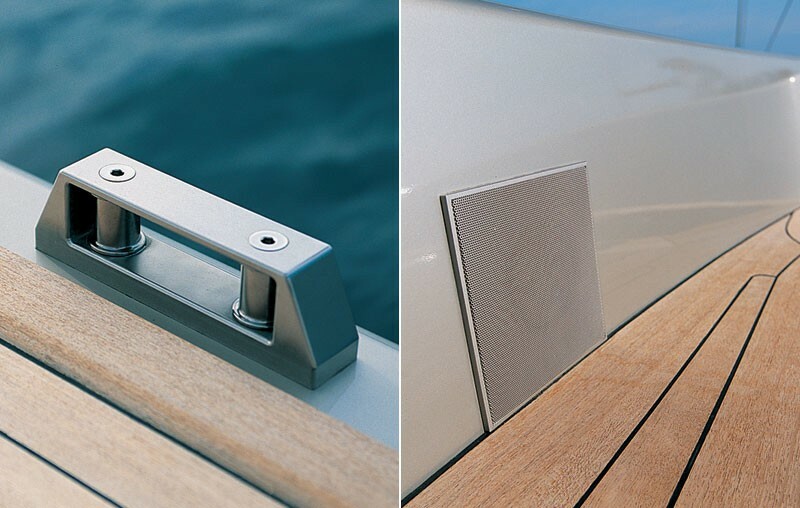 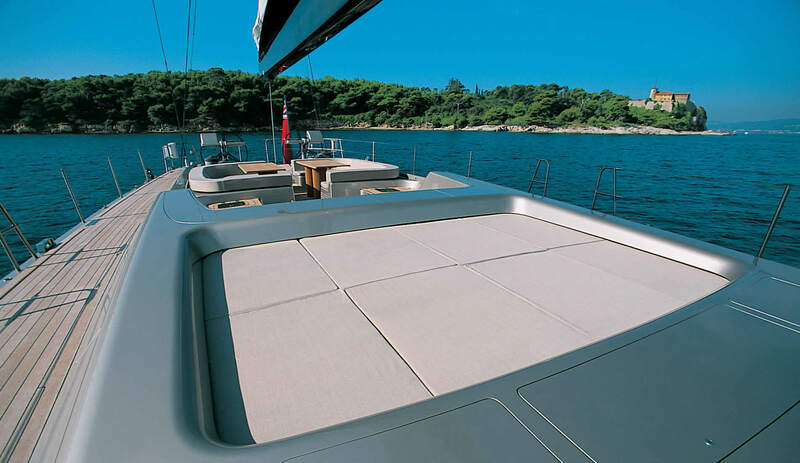 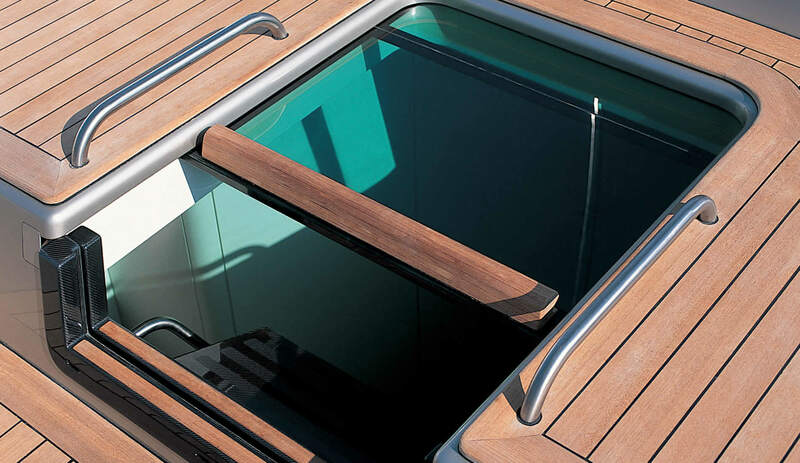 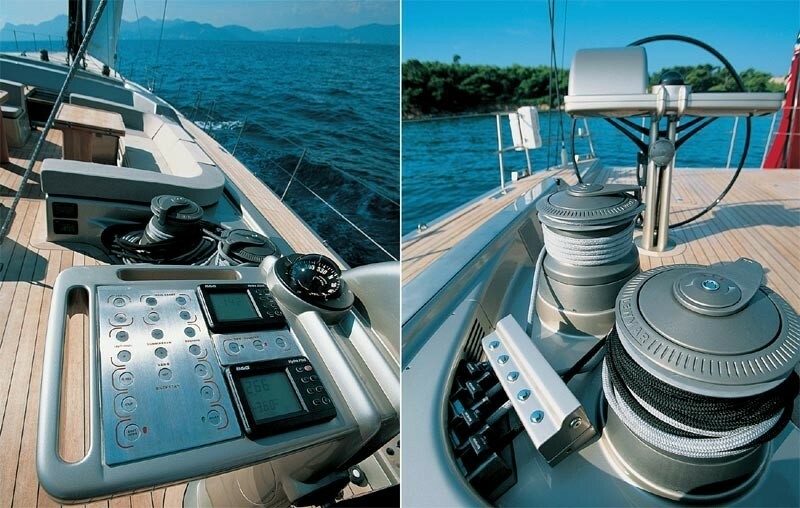 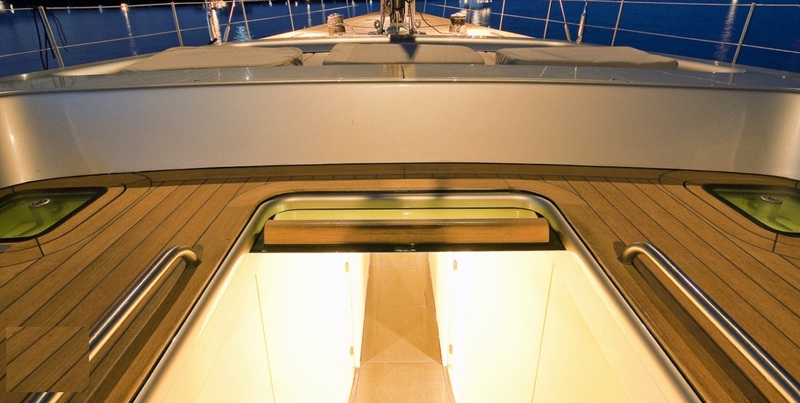 The yachts wide side decks lead to the capacious foredeck, complete with flush hatches and plenty of relaxation areas. 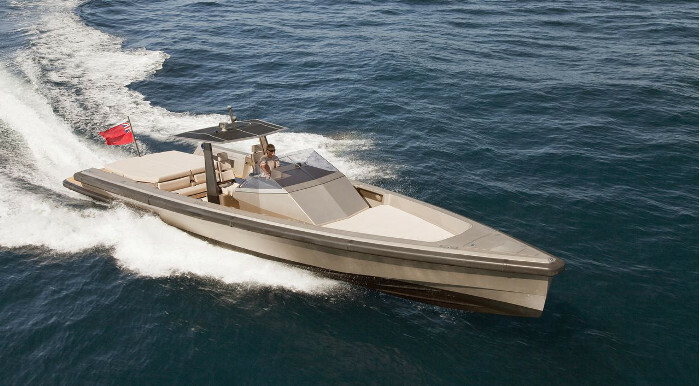 Dark Shadow also has a 13m Wally tender that has a cabin often used by a crew member. 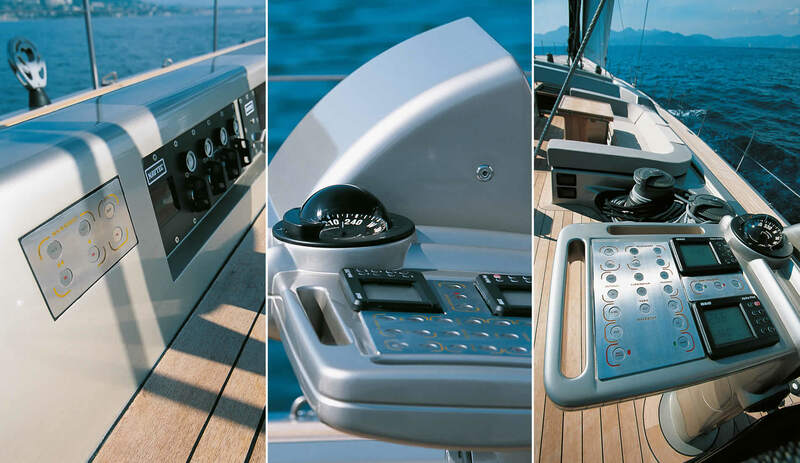 This allows guests, family or partners that do not wish to sail to go ahead by tender and meet the sailors at the destination. 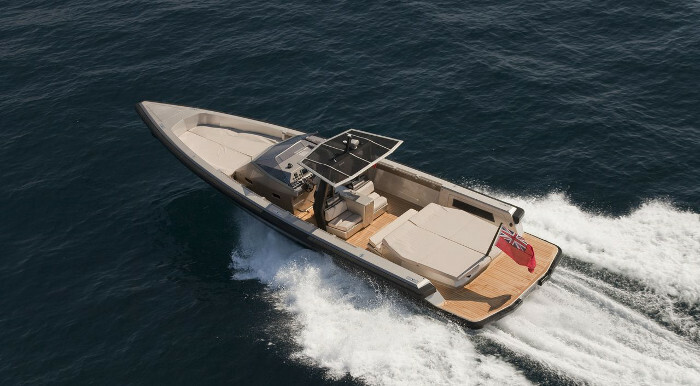 The Wally tender cruises at 25 knots and consumes approximately 100l per hour - when wakeboarding etc. 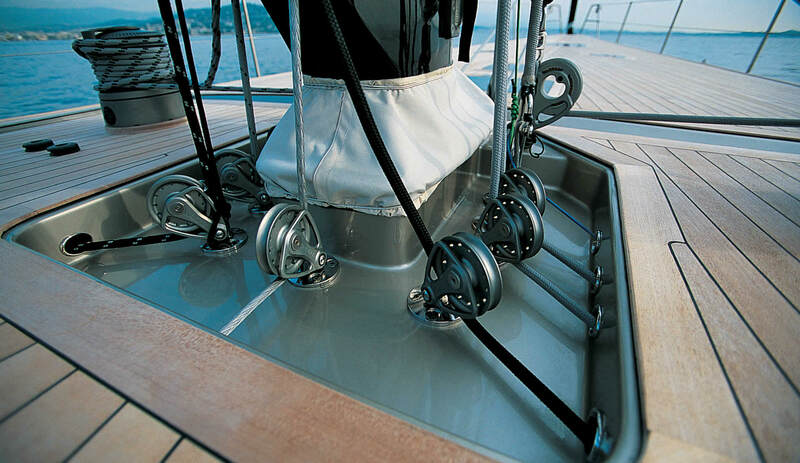 this will be more in the order of 200 l/hour. 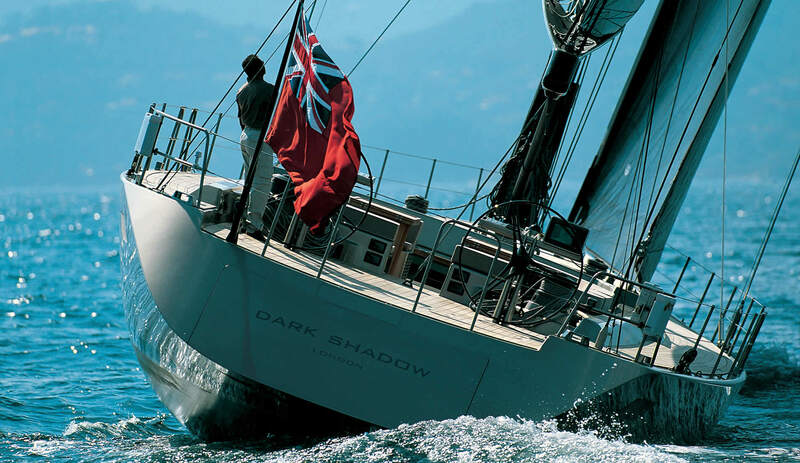 DARK SHADOW has accommodation in 1 master and 2 twin cabins. 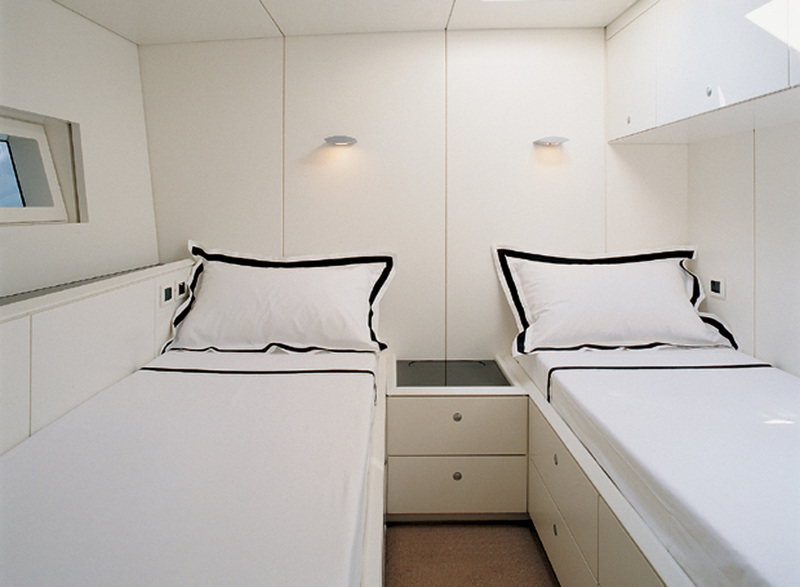 The master cabin offers a queen size bed and TV entertainment, while the 2 twin cabins have side by side twin beds. 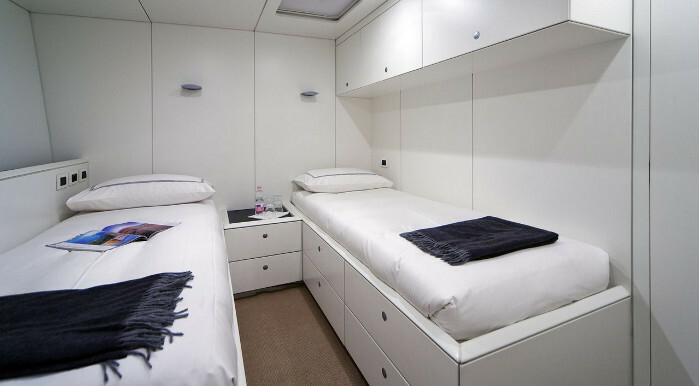 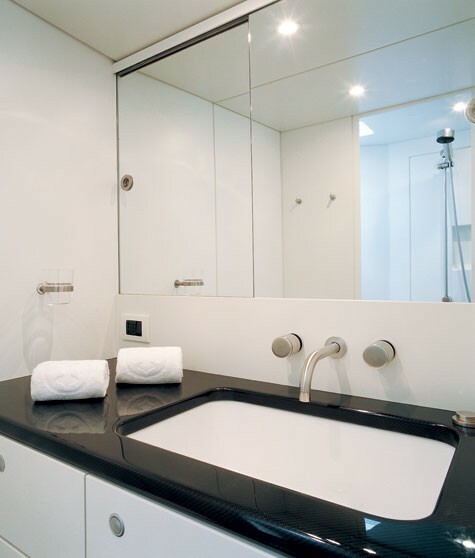 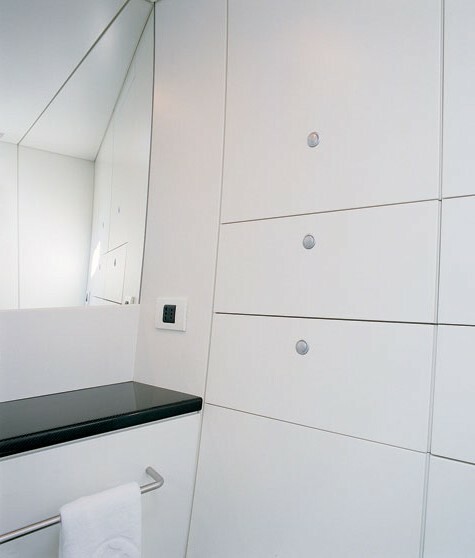 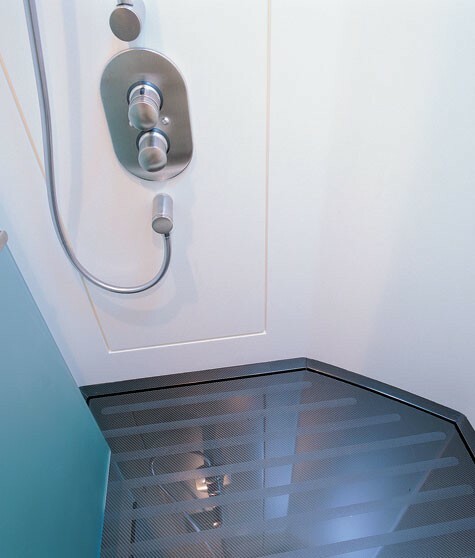 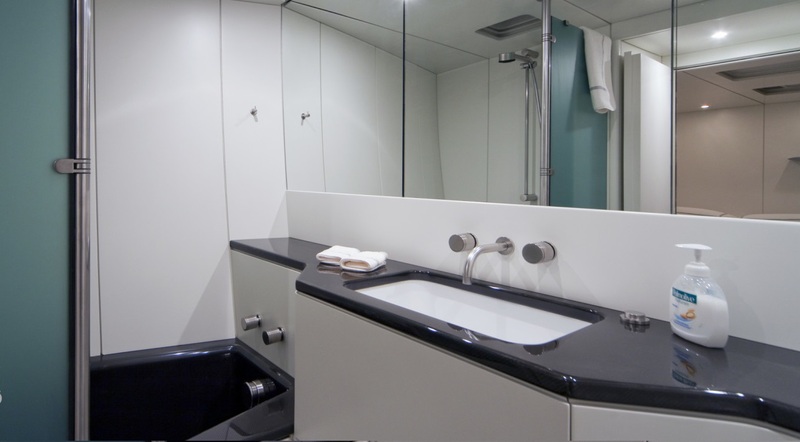 All 3 cabins are light and airy with private en-suite facilities.